Born in Maputo, Mozambique, Lisbon-based visual artist Pedro Vaz produces art based on his first-hand, intensely experiential research of landscape. 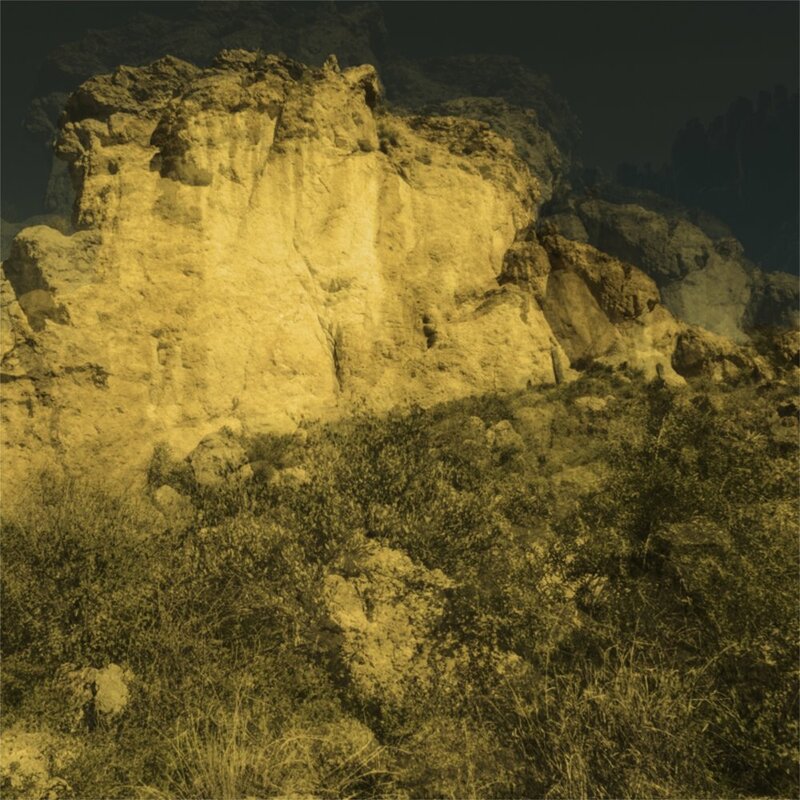 Within 1 week of his arrival in Phoenix, his first visit to the United States, Vaz had hiked 30 miles across the Superstition Mountains Wilderness Area on the Peralta and Boulder Canyon trails to photographically document this rugged terrain he first glimpsed in a video by Brazil-based visual artist Túlio Pinto at an art fair in Lisbon which both artists attended. The making of Pinto’s video was supported by phICA during his Phoenix residency/Onloaded exhibit in November, 2015. Personal contact with place is a fundamental element of Vaz’s art practice. Pedro’s recent hiking tours include walking the 108 mile circumference of the base of Mont Blanc in Switzerland, Italy, and France, as well as 2 weeks on the Amazon River near Manaus, Brazil. 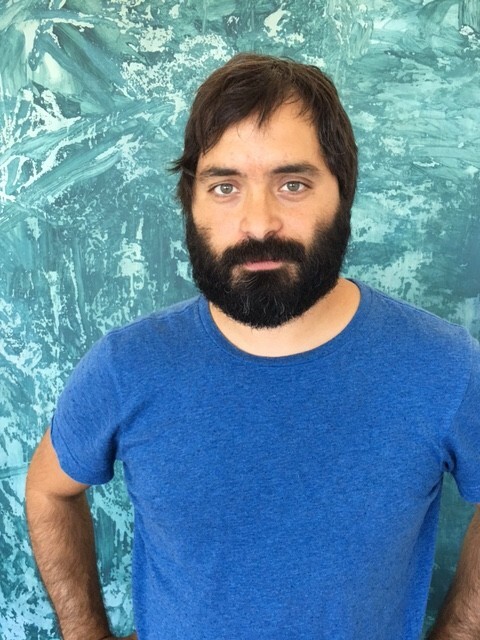 From on-the-land research, Pedro makes paintings, videos, and installations which represent transformation from photographs to these other media formats. This dynamic of the artist-made object with the possibility of landscape being represented both question and help to define spatiality, the specificity of place, and the elements of the terrain. Vaz becomes a catalyst for understanding, explanation, and interpretation through his visual voice rather than being in the artist-as-creator spotlight. Unlike his tour of Mont Blanc where predominant elements were fog, unlimited access to water, and snow white landscapes, in the Superstitions Vaz encountered the absence of water in the craggy, colorful Sonoran Desert. He experienced the vastness of the land, its remarkable flora in early spring, its monumental and dramatic geologic formations, and vivid but fleeting colors of sunlit and shaded spaces which are accentuated by the crystal-clear blue desert sky and the intensity of the sunlight which this region is known for. While trails show evidence of present-day human passage, the remains of mines, shacks, and other man-made forms are reminders of the power of nature over humans. Nature is clearly showcased here now. The warmness of the colors makes the area inviting for a potentially impactful human-to-nature event. Yet, conditions are harsh, the sun is intense and often unbearable, and the lack of water is of constant concern as Pedro discovered. Vaz’s idea-driven art was fueled by extensive research into the area’s history – Native American, Spanish, and Mexican travelers, the mysterious gold mining Peralta Family, and the legendary “Lost Dutchman” German-immigrant Jacob Waltz who purportedly discovered a huge horde of “Apache gold” in the 19thCentury. The resulting video produced for this exhibition captures both the ruggedness and fragility of this environment through fleeting images and the veiling of images over others in a painterly manner. Vaz’s practice is cited amidst multivalent global spatial practices by artists who are blurring lines in art media through “performative actions, video and film practices, installation art, visual and mimetic apparatus: painting, drawing, printmaking, readymades”. According to Portugal-based scholar Pedro Pousada, artists like Vaz are critically addressing “spatial and architectonic typologies such as: place, public space, landscape, urbanscape, dwelling, domestic space, primitive hut, container, site-specific, situation-specific, anti-monument, counter-monument, ruin[ment], entropic space, immersive atmosphere, environment.” They are merging relational aesthetics with challenges to a “status quo in intermedia art making” hatched in the 1990’s with the rise of the Internet and computers. Pedro Vaz earned a degree in Painting from the College of Fine Arts at the University of Lisbon in 2006. Since then his work has been shown in solo and group exhibitions throughout Portugal as well as internationally in museums, galleries, and art fairs. In 2014, Pedro received the Beers Contemporary Award for Emerging Art in London, and has received project grants from the prestigious Fundação Calouste Gulbenkian, Lisbon. In late 2016, he participated in a residency in Brazil, and after his time in Phoenix, will travel to Mexico City for a 3-month artist residency and solo exhibition opening in June at Enrique Guerrero Gallery. phICA thanks Tempe-based visual artist Elijah Bourque for his companionship and guiding during Pedro Vaz’s hiking tours.